Our 4th Annual Hockey Draft was another successful event. With 28 teams and over 200 people in attendance, our community raised $12,602.15! Thank you!!! 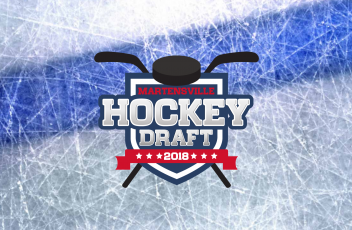 2017 NHL Hockey Draft a HUGE Success! The 3rd Annual Playoff Draft was a huge success!!! ​There were 28 teams, over 200 people, many great prizes and tons of fun. From this event the MCRP raised: $19,340.43! ​Thank you to all the sponsors and volunteers who helped to make this such a successful event!! Congratulations to Amy Konkel, our 2017 Loser Pool winner! Our 2nd Annual Casino Night was a HUGE success! $11,810.23 was raised through the generosity of all who attended. THANK YOU! The 2nd Annual Playoff Draft was a huge success!!! ​There were 28 teams, over 200 people, many great prizes and tons of laughs. From this event the MCRP raised: $17,440.71! ​Thank you to all the sponsors and volunteers who helped to make this such a successful event!! The Winner of of our first Money Ball Raffle is Trent Sorowski. He purchased tickets Friday Night and was able to draw the Money Ball. He takes home $2000! Through Affinity Credit Union’s District Council Funding they donated $9017.88! Thanks so much!!! It was first supposed to be $7700.00 but the all the employees at the Martensville Branch through in more to grow it to the $9017.88.